Over the past few days, Burundi President Pierre Nkurunziza announced he will not seek another term in the next elections. Some people believe it is rather an opening. President Nkurunziza promised not to run for president in 2020 elections. On the day of the promulgation of the new Constitution, the president surprised everyone when he publicly said he would not seek another term. 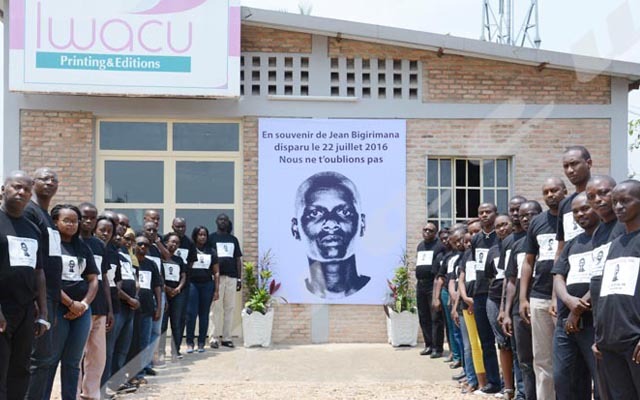 It was the most unexpected announcement of this year in Burundi! He said the population “had called for the annulment of term limits,” as reported by the National Commission for Inter-Burundian Dialogue, CNDI. Afterwards, the commission to draft the constitutional revision was set up and the president later on convened a referendum, which took place last month. During this process, the opposition, the international community and analysts saw the thinly veiled ambitions of President Nkurunziza to continue occupying the presidential palace. Any event organized by the government or the ruling party presents Nkurunziza as a winning candidate in the 2020 elections. He was recently made ‘Imboneza yamaho’, supreme or permanent guide. In short, everything had apparently been skillfully staged during the past two years. Any obstacle to the presidency seemed to have been set aside. An analyst assures that Burundians expect the president to make other gestures for free and democratic elections in the coming days. In a press conference held on Thursday, CNDD-FDD party Secretary General Evariste Ndayishimiye has said the party is preparing to find another candidate other than Nkurunziza. The former President of Burundi says the decision of President Pierre Nkurunziza is a move that will have positive effects within CNDD-FDD, between the power and its opposition and between Burundi and international partners “provided that all these parties work in the interest of the Burundian people. Sylvestre Ntibantunganya urges those who are developing strategies in the diplomatic, political, economic and social spheres to properly manage what is needed to take Burundi out of this crisis. Heather Nauert, Spokesperson for the US Department of State has said the United States considers that the President’s decision to renounce on his own is a major step forward towards Burundian democracy and a positive example for the other leaders of the region. The United States calls on the Government of Burundi to improve governance, respect for human rights, civic space and freedom of the media. According to the spokesman for CNARED, the opposition platform in exile, President Nkurunziza has moved from the violation to the outright suppression of the Arusha Agreement, since June 7. “The basis of the crisis is this Constitution of promulgated on June 7 which is a declaration of war to the Burundian people. According to Pancrace Cimpaye, whether Mr. Pierre Nkurunziza is a candidate or not in 2020, The rot’s set in. As long as the Arusha Agreement and the resulting Constitution are not restored, no return to normal political life will be possible in Burundi. Analysis/ After the announcement, acts! Excitement mounts within the party in power since the surprising announcement of the president not to stand as president in 2020elections. A battle over positioning is on the horizon. Potential candidates line up discreetly. The Bagumyabanga (members of the ruling party) will have the difficult task of making the right choice that can win the race. The opposition is trying to adapt quickly to the new situation and think about the policy to adopt against this highly likely scenario of 2020 elections without president Nkurunziza as a candidate. For now, it is very cautious and does not exult. The opposition has long stated that the crisis in Burundi was sparked by the announcement of the candidacy of Pierre Nkurunziza as president in the 2015 elections. Apart from the new constitution, the opposition believes that the root cause of the present crisis is President Nkurunziza’s ambitions to remain in power. The European Union and the United States have already expressed their position. First of all, it is to congratulate President Nkurunziza on his decision. However, for the West, there also must be guarantees, regarding particularly the respect for human rights, the opening of political space for free and credible elections. The least we can say is that regardless of the reasons that led to the renunciation, the popularity of Pierre Nkurunziza has somewhat increased. Nevertheless, the expectations of the Burundian people are great as for the management of the following events. They hope that the power will make good decisions.